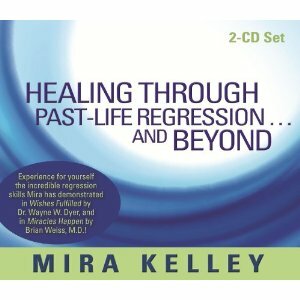 View Cart "Healing Through Past-Life Regression… And Beyond" was successfully added to your cart. Are you ready to live from a place of true abundance? Now is the time to release the fears and blocks that hold you back from claiming the wealth you so deserve! 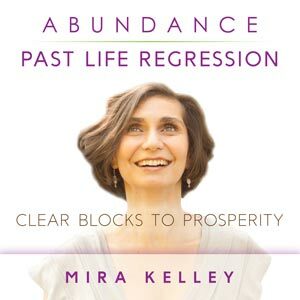 Join Mira Kelley for a guided regression experience designed specifically to help you unlock limiting money beliefs. Mira will open you up to financial blessings and prosperity in all areas of your life. Mira will guide you to a meditative state where you can begin the journey exploring your past lives and connect to the wisdom of your soul. Nurturing and warm, this audio experience can lead to enlightenment and creating unlimited wealth and prosperity for you! Download the album and start living rich today! Note: This is an .mp3 album. It is available to listen online or download. A link will be sent via email to download or stream. The links will remain active for 7 days during which time you can download or stream. 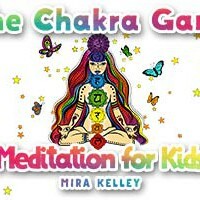 In a skilled and gentle manner, Mira Kelley guides you to experience past lives you have lived. Connecting with your past lives, allows you to receive emotional and physical healing, discover your life’s purpose, understand your relationships and receive guidance from your Higher Self.